what does it mean "visualising something" + "what does it mean "data" (yes I was feeling desperate at the beginning of this week! for this week's assignment, I added a speaker into my amplifier board I produced during output devices week. 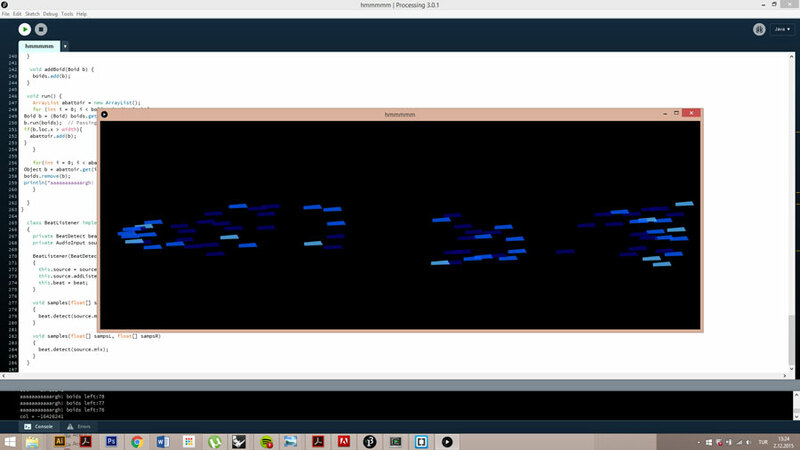 then using minim library and beatDetect function on processing, I was able to create a dynamic visualization corresponding the beats of a song!